Finally, after many months of stalling and many trips to the Princeton Record Exchange, I have managed to finish my first official blog. Unfortunately, I have been involved recently with to many projects. Some of these have been related to the Hovhaness centenary. My other main project was to simply get rid of a cold that I had for weeks. I hope that in this blog I will be able to express myself and talk about issues that are important to me, many of which have to do about my beloved subject, the music of our time. You must be asking, why MarvinTheCat? Yes, I do love cats, even though I never had any animals as a child. 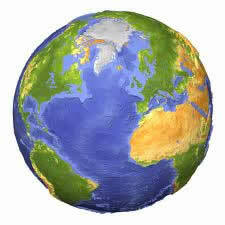 When I married my wife Beata, I married not only her but also 2 cats and a dog. After many more cats and another dog, I discovered the meaning of animal love. But the reason for MarvinTheCat is totally different. 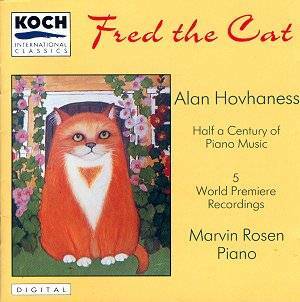 In 1993 I recorded a CD of the piano music of Alan Hovhaness – Fred the Cat. The CD cover is graced with my wife’s painting of one of our cats, properly named Fred (of course after Hovhaness’s Sonata). This is how my story begins. The last time I saw AH alive in Boston, I had people walk to me saying, “you are familiar to me, O yes, you are Fred the Cat” This happened many times later also and from that time I am remembered as such. Also Fred the Cat became my website logo. Unfortunately again, when I wanted Fred for this Blog, the name was already taken, so I decided to replace Fred with Marvin. I just hope that who ever adopted that name, was inspired by my CD, but if not, that is OK also as long as he/she loves cats. So now here is a bit about me. I am an easygoing guy who has tried for most of my life to stay away from any controversial issues, as instructed in my early life. I have expressed different views only via music on my radio program (to the joy of many happy listeners), so maybe it is time for me speak out just a bit. 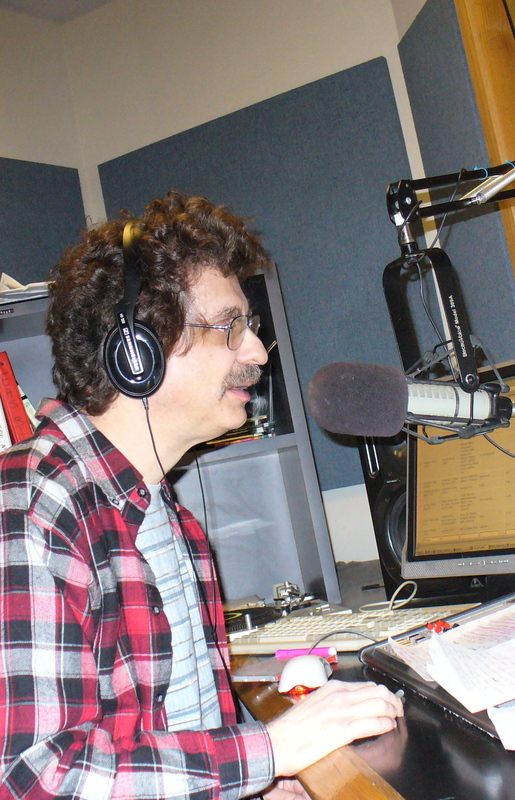 Yes, my other passion is a radio. As a volunteer on WPRB, I have presented at least once a week “Classical Discoveries” for 14 years and in addition for almost 3 years now “Classical Discoveries Goes Avant-Garde”. Yes, this newer program airs, not in wee hours of night, hidden away from listeners, when everyone is sleeping and only few Internet junkies are exploring the airwaves, but in the daytime. There will be more about this is my next blog. Since I have full-time job and a time-consuming hobby, I might not have the time to write as often I would like, but we will see what happens.